Hatch Apps is an app development platform that allows users to build, deploy, and manage native web and mobile apps with no coding needed. It is a software-as-a-service (SaaS) technology that features white glove support, wherein a Hatch Apps team will customize the app for you with no additional charge. In this article, we cover its user reviews. Ready to get started with Hatch Apps? Visit their support website. As of the date this article was written (11/26/18), there are not a lot of Hatch Apps user reviews online but the ones we found are all positive. Hatch Apps users said that the app is very straightforward and easy to use. 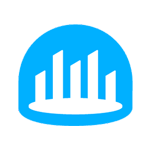 Some users mentioned that the admin dashboard is flexible, allowing them to iterate the app content and update all users immediately. One user who gave Hatch Apps a positive review on Capterra said that the app is intuitive and that it allows her to upload and share content quickly. She also noted that the company’s support team responds quickly and is always there to answer her queries. There are no negative reviews of Hatch Apps available online as of this writing. Hatch Apps pricing is not readily available on its website since it is customized per project. The fee is determined by the functionality needed by the user, with a $1,000 monthly fee for app hosting, maintenance, and full access to Hatch Apps’ platform. Ready to get started with Hatch Apps? Visit their support team for more information. Where can I launch my apps with Hatch Apps? 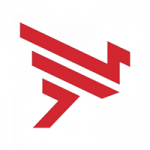 All applications built from the Hatch Apps platform can be deployed in the public marketplace including the Apple App Store, Google Play Store, and the web. Yes. Users may cancel their subscription at any time and the service will stop immediately. It is also important to note that the company does not offer refunds on monthly and yearly subscriptions. Not sure if Hatch Apps is the right fit for you? 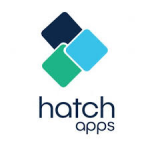 Read our reviews of all top app development software providers or check out one of these three Hatch Apps competitors.